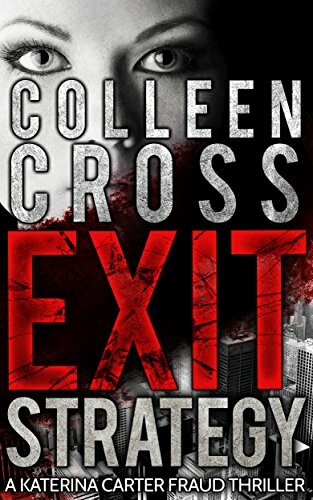 Has the need for thrills lead you to our page to download free and discounted thriller ebooks? You’ve come to the right place. Satisfy your thrill seeking bones for bestselling thrillers in this category, and never pay more than what you should. We routinely feature the best authors of thriller ebooks, and they always promote their ebooks to you--for free or for a discount. Definition of "Thriller Genre": The thriller genre is very broad and can be difficult to define. However, the focus of a thriller ebook is typically on action, danger and suspense. The genre can be broken into an almost infinite number of sub-genres, including action thrillers (think Clive Cussler ebooks), romance thrillers, psychological thrillers (think Psycho by Hitchcock), science fiction thrillers, and spy thrillers, just to name a few. Common elements can include car chases, gun shoot outs, explosions, or in the case of psychological thrillers, the elements of danger can be related to the mental manipulation of characters by other characters. It is an expansive genre, and one of the most popular at eBookHounds. Some examples of the best thriller authors and ebooks of all time: Dan Brown (The Da Vinci Code), Robert Ludlum (The Bourne Identity), Michael Crichton (The Andromeda Strain), John Grisham (Time to Kill), John D. MacDonald (Cape Fear); James Patterson (Kiss the Girls). As you can see, ebooks in the thriller category vary widely in their substance, and the sub-genres can almost be considered genres of their own! When a ghost shows up, Zara finds out her Spirit Charmed powers come with a cost. She must solve the woman's murder. Zara teams up with her handsome neighbor, a wolf shifter who's both mysterious and perfect. Maybe too perfect? He did save her life during a vicious attack, but some strange coincidences have Zara second-guessing her alliances. One thing's for sure. Zara Riddle is keeping these new powers, blue lightning balls and all. "It's thrilling! It's funny! And it won't leave you in agonizing pain (except, possibly, from laughter)." "Love the relationship between mom and daughter. Great characters! The head librarian made me LOL." "Wise-cracking witches and hunky shifters and magical books... oh my!" "A rollicking romp full of humor and heart. The witches of Wisteria will leave you laughing, guessing, and coming back for more!" 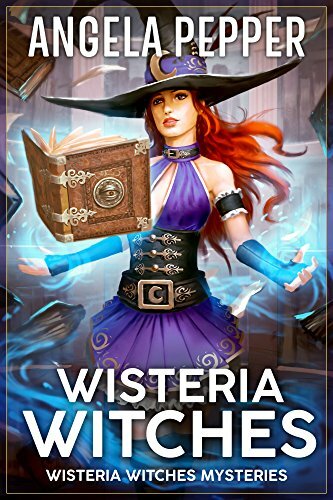 WISTERIA WITCHES is book 1 in the hit witch cozy series Wisteria Witches Mysteries by Amazon All-Star author Angela Pepper. 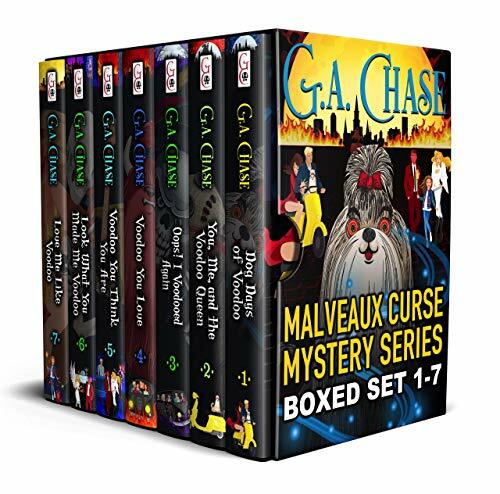 This cozy witch mystery series has millions of Kindle Unlimited pagereads. Readers love the characters and fun storylines! Each book is a complete story, and WISTERIA WITCHES can be read as a stand-alone novel. What are you waiting for? Grab your copy today! KATE SEES AURAS THAT PREDICT DEATH...in Carrie Bedford’s slightly psychic take on the traditional British mystery all wrapped up in a DaVinci Code-like puzzle…LOOK OUT, DEATH! YOU CAN RUN, BUT YOU CAN'T HIDE! London architect Kate Benedict’s weekend begins with “Follow that cab!” and takes us off and running on an international adventure, ticking off picturesque locales from London to a Venetian palace and the Tuscan countryside, pausing just long enough for a quick tour of Florence’s Duomo, with danger dogging every step. What began as a quiet Friday night dinner date with an old childhood friend turns into a manhunt when Kate arrives at the rendezvous just in time to find her friend Ethan leaving in a taxi. Kate is alarmed to see the distinctive swirling pattern above his head that only she can see, and that she has come to recognize as a portent of imminent and mortal danger. When Ethan’s disappearance is followed by a series of cryptic text messages, Kate goes looking for him at his sister’s house in Florence, Italy, but it’s immediately clear that whatever danger threatened Ethan in London has followed Kate to Italy--his sister Claire has a matching aura! Soon Kate and Claire are on the run, constantly watched and followed, repeatedly threatened and attacked … never knowing who they can trust. Apparently not even the carabinieri, who are now following them also! An ancient book that was given to Claire and Ethan’s grandfather after the close of World War II holds the key to Ethan’s disappearance and the source of the danger indicated by Claire’s ever-present aura. Until all the pieces come together – the book, a hidden key, a diagram, and a cypher that Kate will need help decoding – Kate and her friends are safe; but then their tormentors – whoever they are – will have no reason to keep them alive. 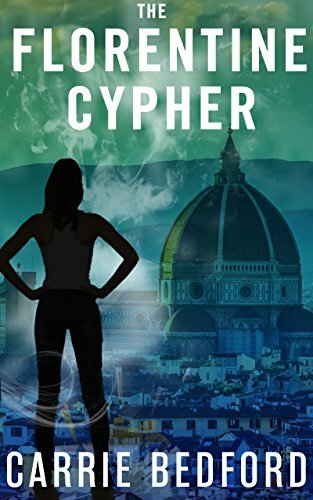 “I thoroughly enjoyed the fast-paced action and exotic locales of The Florentine Cipher. It is an edge-of-your-seat page turner.” --Terri Reid, author of the Mary O’Reilly Paranormal Mystery Series. WHO ELSE WILL LIKE IT: Anyone looking for a new, fresh female sleuth, as well as fans of paranormal suspense, traditional (yet not too cozy) stories, contemporary British women detectives like the ones found on the BBC’s ROSEMARY AND THYME and MURDER IN SUBURBIA, and mysteries with a metaphysical twist, like Kay Hooper’s Bishop Files series, Iris Johansen’s THE PERFECT WITNESS, and Heather Graham’s Krewe of Hunters books. 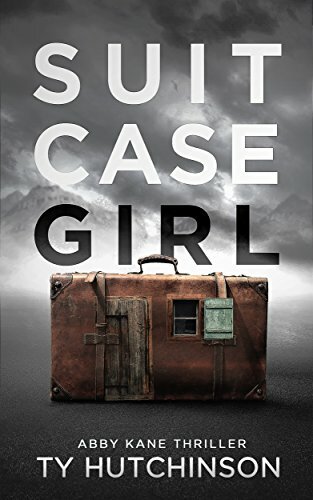 Private investigator and forensic accountant Katerina Carter uncovers a sinister connection between blood diamonds and organized crime. Then two company employees are brutally murdered and her investigation becomes much more dangerous than she had ever imagined. Can she can stay alive long enough to expose the real criminals...or will her first case be her last? Don't miss Books 2, 3 and 4 in this series, Game Theory, Blowout, and Greenwash, all at a special price, for a limited time only! MEET THE ULTIMATE FEMALE SLEUTH! Ovsanna Moore has no fear, never loses a fight, and always, always says what she thinks—very wittily too. Vampyres are like that. You learn a lot in 450 years, though not necessarily your way around a murder investigation. Due to an extremely hot cop boy friend—and some nasty supernatural murders—she’s all over this new skill, and a good thing too. Only a few things can really threaten a vampyre, and they're all coming at her at once, including some strange and tender feelings she’s kind of forgotten—involving that mysterious thing humans call love. *Fans of TRUE BLOOD and Charlaine Harris’s Southern Vampire Mysteries, J.D. Robb’s “In Death” series, Ann Charles' humorous Deadwood series, and Kay Hooper’s psychic mysteries. 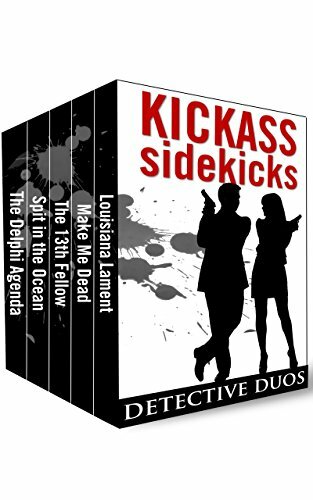 *Fans of witty couple mysteries like Dennis Lehane’s Patrick Kenzie and Angie Gennaro series. *Paranormal and vampire fans, especially those fond of Christopher Moore, Chelsea Quinn Yarbro, George R.R. Martin’s FEVRE DREAM, and THE HISTORIAN by Elizabeth Kostova. *Anyone who likes witty mysteries with a hint of the police procedural about them. Detective Peter King and movie star Ovsanna Moore are the sexiest tongue-in-cheek crime-solving duo since MOONLIGHTING hit the air waves in the ‘80s. But they may remind you more of TRUE BLOOD’s Sookie and Eric than Maddie and David—because one of them’s a vampyre. And like Sookie’s Bon Temps, their Los Angeles has its fair share of shapeshifting sometime-humans. 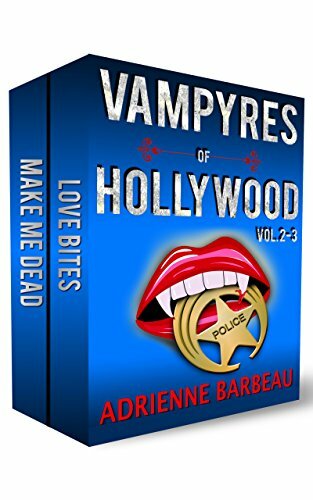 As always in a Vampyres of Hollywood mystery, the biting wit is sharper than a nip from a passing vampyre—in a word,humor, wit, and satire are what this engaging series is really all about. Nobody’s better than Barbeau at skewering the foibles of Hollywood and its self-involved denizens, and nobody’s got a smarter mouth than her movie star heroine, vampire Ovsanna Moore, this time in New Orleans for a horror convention. Traveling with Ovsanna is her human true love, hot LAPD Detective Peter King, Peter’s snake-dancing neighbor Susie Q, and the detective’s memorabilia-selling mom. But unbeknownst to the quartet, someone else is with them—someone from the past who can be extremely dangerous. Even to Ovsanna, and hardly anything is! Part comic mystery, part police procedural, a little bit supernatural, paranormal, and cccult (with a dash of old-fashioned vampyre romance), MAKE ME DEAD is guaranteed to make you laugh out loud—more than once. A string of patricides rocks 1916 Dublin and a washed-up Scottish doctor receives a mysterious manuscript from a fellow Scotsman recounting his dark experiences in the pioneer city of Seattle in 1889. As the doctor reads the manuscript, he’s made aware the murders in Seattle are connected to those in Dublin and he and the author crossed paths many years before, and under tragic circumstances. In Seattle, a tale of corruption and conspiracy unravels at the feet of a crazed serial killer hell-bent on halting historical progress. It’s just a matter of time before the city will burn. The doctor must decide if the author is an ally, or the killer himself, amidst an atmosphere of political instability and impending revolt. 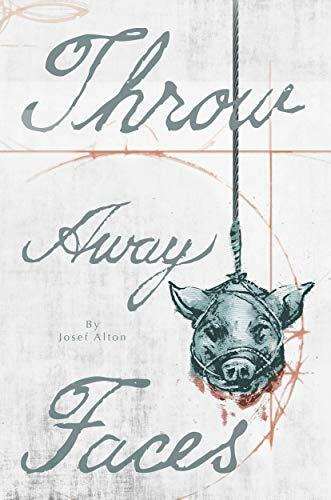 Throw Away Faces is a raw look into the abuse of power, the well of madness, and the inevitability of tragedy versus the power of redemption. Who will like it: Fans of THE SECRET HISTORY, Commedia dell’arte, French Comedy (there’s more than a little Molière here), and all things Venice, particularly Daphne du Maurier’s DON'T LOOK NOW, John Berendt’s CITY OF FALLING ANGELS, and Donna Leon’s Guido Brunetti mysteries. Maggie Doyle moves to Ireland to escape her cheating ex and crumbling career in the San Francisco PD. When the most hated woman on Whisper Island is poisoned at her aunt’s Movie Theater Cafe, Maggie and her rock-hard muffins are hurled into the murder investigation. With the help of her UFO-enthusiast friend, a nun, and a feral puppy, Maggie is determined to clear her aunt’s name. Can she catch the murderer before they strike again? Or will her terrible baking skills burn down the cafe first? A woman, her dog, and a devilish curse. What more could a girl want? Things get complicated when you don’t know what you’re voodooing. Devils can be such slippery buggers. Every devil must have his hell. Angels can be such demons to those who love them. Can an angel confined to hell resist the devil’s charms? Is there anything the devil won’t do for the women he loves? 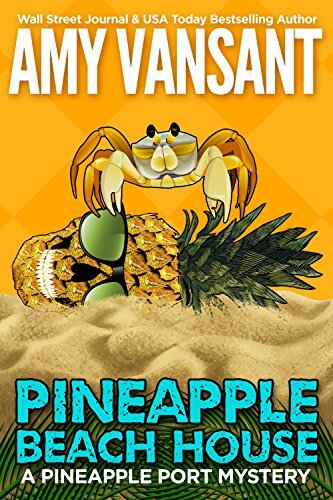 Wall Street Journal and USA TODAY Best-Selling author Amy Vansant packs up the Pineapple Port crew and sends them north in book FIVE of the hilarious mystery series you won't believe! As the bits o' somebody pile up (and Mariska keeps the neat and safe in a butter dish), amateur sleuth Charlotte Morgan and her friends must solve the murder before a storm blows them all back to Florida! The Pineapple Port Mystery Series is both sweet and wicked, and always hilarious! Fans of funny mysteries that remain real puzzles to the end will put the Pineapple Port series on their virutal shelves next to Janet Evanovich, Carl Hiaasen and Jana DeLeon. Who is Holmes without his Watson, Scully without her Mulder? Half the fun of a witty, fast-paced mystery is watching two wildly different kinds of detectives duke it out verbally while puzzling out a nearly impossible solution. Especially if they happen to be attracted to each other. In these five, some are, some aren't, but in each case, these dynamic duos complete, complement and—often—thoroughly infuriate each other. (In the friendliest possible way, of course.) Double detectives, double fun at less than half the normal price! Editor's Note: These are all full-length novels, not short stories, and, in the great tradition of The Omnibus are a collection of themed books, meant to showcase partners working together, not to introduce first novels in a series. Many of these are mid-series--but they in no way depend on the rest of the series. Simply enjoy as stand-alones! They’d be Queen Latifah and Danny DeVito if this were a movie. In Louisiana Lament, they’re P.I.s Talba Wallis and Eddie Valentino. Talba's a young, African-American, computer-brilliant, bright-eyed, bushy-tailed, and a noted poet by night; Eddie's pushing seventy, white, hopelessly tech-challenged, and pretty much burned out. Somehow, they make it work—with Talba’s tech-and-street smarts, and Eddie's old-school hard-earned savvy, they even complement each other. How can you go wrong with a 500-year-old vampyre movie star and her mortally attractive crush—a macho, all too human L.A. cop, on a jaunt to New Orleans in this adventure. A flaming hot combo to begin with, but spiced up with author Barbeau’s sassy writing, it’s a treat for cozy and paranormal fans alike. 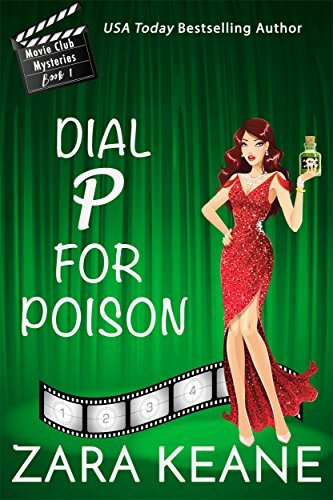 Because, as always in a Vampyres of Hollywood mystery, the biting wit is sharper than a nip from a passing vampyre—humor, wit, and satire are what this engaging series is really all about. American Professor Havilah Gaie has always seen herself as “an academic version of Pam Grier’s characters: smart, quick on their feet, loyal with a keen sense of purpose.” Now she’s got a chance to suit up for action because suddenly she’s a witness in a murder—in Provence. Havilah’s at the center of the mystery, and so is Thierry Gasquet, a dashing French agent who doesn't care much for amateur detectives. Who resists a dashing French agent? Hint: It's a lot of fun watching Havilah try. Ex-Chicago-cop Jake Samson and his ever-sharp Watson, Rosie Vicente, hired by a bank to find out who made an unauthorized withdrawal, blow into a coastal California town as a savage storm is approaching. It was quite a bank job--the vault emptied out, not a shot fired. In fact, it resembled a burglary more than a bank job, but when you rob a sperm bank, that’s sometimes all it takes. Need we say Jake and Rosie have a ball! Papyrologist Lisa Emmer and her cohort, a mysterious banker named Steve, unravel of secrets of ancient history mixed in with a chilling conspiracy that brings to mind the best of Dan Brown. What’s going on: The Inquisition is back! And this time they have technology. An action-packed and very exotic international thriller! Diamond isn’t polite. She’s got a filthy mouth to go with her dirty mind, and she doesn’t hold back. 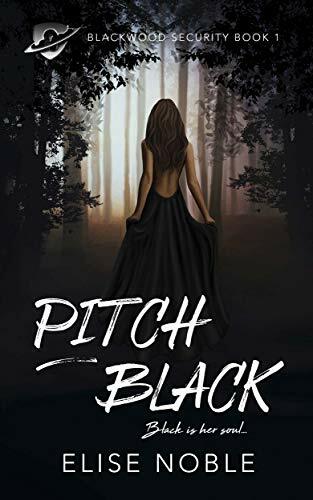 If you like your books a little milder, you may prefer the clean version of Pitch Black (no on-the-page dirty bits and no swearing) available through my author page. 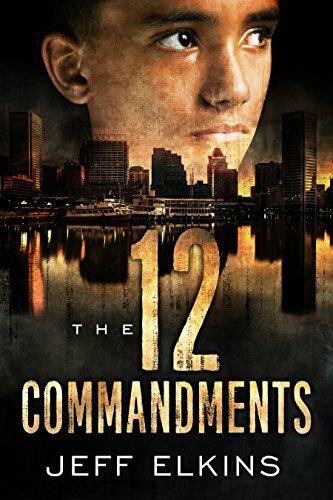 Please be aware that although one story arc is concluded in this book, Diamond’s full story is told over books 1-3 in the Blackwood Security series. HE DID ALL THE RIGHT THINGS--AND THEN THE BODIES STARTED PILING UP... The Dirty Lowdown wrote: "Mick James has nailed it. The all too dark side of our legal industry, and the type of character we're all too afraid to admit exists!" It looks like disbarred attorney Bobby Custer has won the lottery. After serving four years of a seven-year sentence, he gets an offer he can’t refuse – from the feds. They just want him to keep an eye out for shady goings-on at one of the most prestigious law firms in the city. And suddenly he’s out – out of jail, but also totally cast out of his old life: shunned by family and friends, living in a bare studio apartment, working the hallways and back alleys of the legal game and finding plenty of shady goings-on to keep an eye on. He did all the right things -- went to law school, got a job in a good law firm -- right up until the conviction for “a minor dalliance with a trust fund”. You could almost feel for the guy – a young man tempted by the high life could make a mistake he regrets and end up losing everything. And a guy who’ll help you hide a body could just be a good friend. But as the bodies start piling up, you have to wonder if there’s something about Bobby that’s just not … right. A combination of Breaking Bad and House of Cards, Corridor Man is a sinister, disturbing thriller that's bound to keep you awake at night. 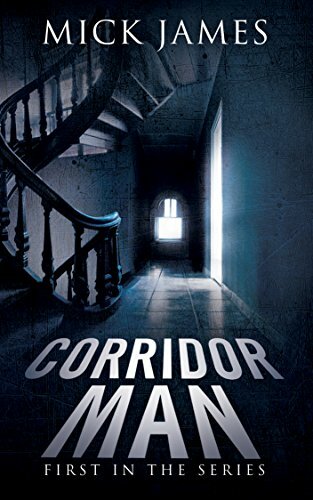 The FIRST book in the Corridor Man series. "Don't think you're untouchable…you or your son." Then a dial tone..
A year ago, a gruesome car accident claimed the lives of her only brother and his wife, making her the de facto mother of 7-year-old Chase. 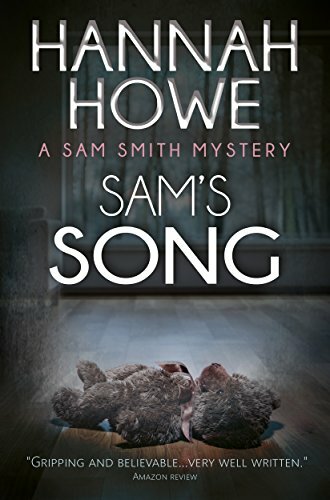 The sudden household change ended in the loss of her life partner and still best friend, chic police psychologist Frankie, not to mention the dashing of Jazz's lifelong dreams of becoming a successful mystery novelist. Now every day is a battle against Chase’s demons—and her own. Quick reconnaissance reveals the call wasn't a clever joke courtesy of Hadley, Frankie's droll actress roommate, nor was it Victor, the wry police department coroner who happens to be Jazz's confidante. Further detective work shows the caller wanted Jazz to find him—along with the fresh dead body he left for her in a Harlem warehouse. With a shadow on Chase and the aid of Frankie's grace-under-fire, not to mention Victor's brandy-fueled heart-to-hearts, Jazz--who has more 'tude than even the toughest investigator, male or female--navigates the cruel streets of New York City while struggling to keep custody of the only family she has left, doggedly in search of the elusive, psychopathic murderer who seems to be summarily killing off women who look suspiciously like someone close to Jazz... and she's not willing to lose yet another person she loves. 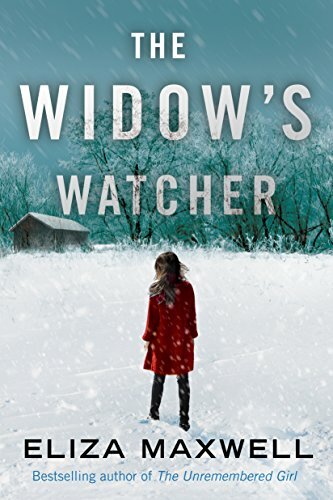 Fans of the exciting new wave of hard-boiled women sleuths created by writers like Megan Abbott, Laura Lippmann, Lisa Lutz, and Vicki Hendricks will be attracted to the author’s take-no-prisoners style, and her unflinching attention to harrowing detail. 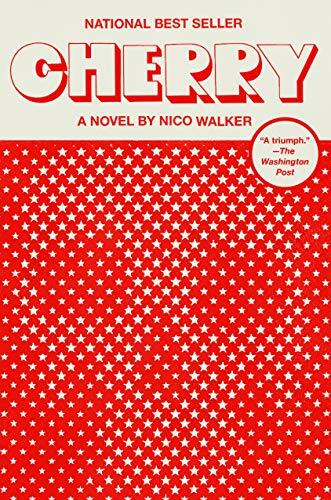 Yet lovers of traditional mysteries will appreciate the web of fierce loyalty tempered with fearful caution that links Jazz’s tiny but hardy support system—Victor, Frankie, and Hadley, not to mention Chase himself. Somehow or other, Amato manages to mix all the excitement of an action thriller with the swirling emotions of a mainstream psychological novel. Those with a weakness for badass female cops like Mary Shannon of In Plain Sight and Olivia Benson of Law & Order SVU will revel in Jasmine Steele's gritty determination laced with compassion. Readers of lesbian mysteries will be reminded of Sandra Scoppettone’s Lauren Laurano and Laurie R. King’s Kate Martinelli. 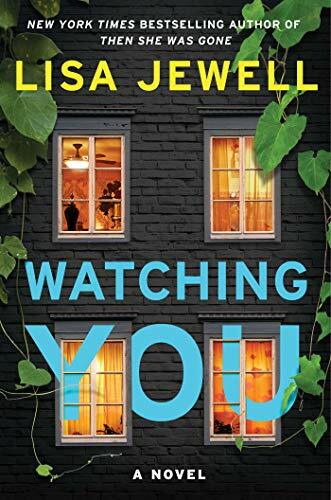 And it's also a great read for fans of resilient heroines of psychological thrillers like Liz Keen of The Blacklist and Carrie Mathison of Homeland, who will love Jasmine Steele's fearlessness, tinged with the very real emotional roller coaster of love turned to grief. 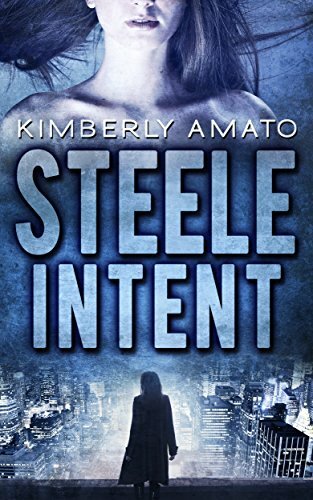 "(Amato) makes Detective Steele a winning female character, and... introduces comic relief at just the right moments. This is very fine writing by a lady who knows the idiom!" When nuclear waste is stolen by jihadists in the middle of the night from an unguarded New York City hospital, the police, in a frantic race against time, call in the FBI. Luke Stone, head of an elite, secretive, department within the FBI, is the only man they can turn to. Luke realizes right away that the terrorists’ aim is to create a dirty bomb, that they seek a high-value target, and that they will hit it within 48 hours. A cat and mouse chase follows, pitting the world’s most savvy government agents versus its most sophisticated terrorists. As Agent Stone peels back layer after layer, he soon realizes he is up against a vast conspiracy, and that the target is even more high value than he could have imagined—leading all the way to the President of the United States. With Luke framed for the crime, his team threatened and his own family in danger, the stakes could not be higher. 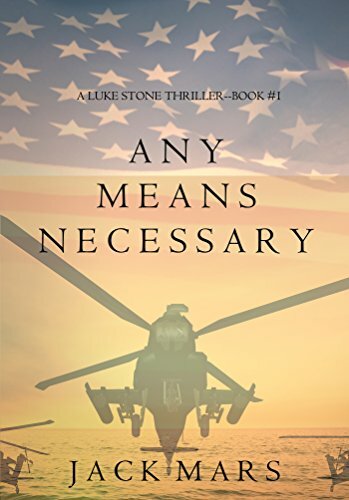 But as a former special forces commando, Luke has been in tough positions before, and he will not give up until he finds a way to stop them—using any means necessary. A political thriller with heart-pounding action, dramatic international settings, and non-stop suspense, ANY MEANS NECESSARY marks the debut of an explosive new series that will leave you turning pages late into the night. Book #2 in the Luke Stone series is also now available!